The S Escalator family offers fast and comfortable mobility in private facilities. 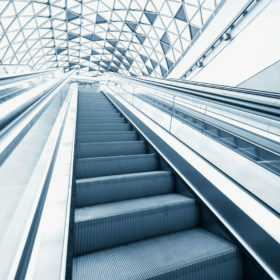 They support a vertical rise of up to 7.5 m.
Would you like more information on our escalators for private use? Contact us: we will plan together the ad hoc solution to manage the flow of people within your structure.